Automatic writing is a great exercise to try if you want to learn more about yourself. Through automatic writing, you can let your subconscious mind come to the surface and reveal truths about yourself that you never knew. Or it can confirm things that you had a sneaking suspicion about but didn’t know 100%. It’s basically a stream of consciousness written down to review and reflect on. What is automatic writing used for? Automatic writing can be used for a variety of purposes and in different ways. For example, it is a psychological tool that is often used in therapy to open up a person and reveal their inner truth. Mediums can use automatic writing as a way of communicating with the spirit realm, focusing on a person in particular. You may have come across automatic writing when you’ve been to a psychic reading. 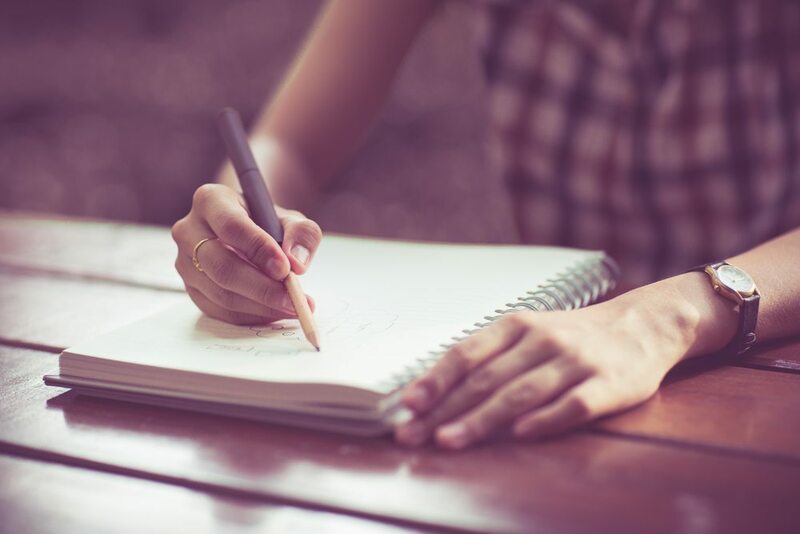 Automatic writing combined with meditation, is also a great way for you to gain insight into a particular problem that has been troubling you. Much like when we sleep and dream, we seem to work through problems or issues that have been on our mind, and the same can be said for automatic writing. It’s because when we write automatically, we are not consciously thinking about how to work through our problems, it is our sub-conscious doing the work. You can also use automatic writing to reveal your true feelings about something. Are you tearing yourself up contemplating matter of the heart? Are you undecided on a career move? Are you looking for a little direction? Automatic writing can reveal your true feelings. Automatic writing takes practice and time to hone. Don’t expect to be amazing at it right away, or to “get it” completely on your first try. For some, it takes years to be able to properly do it – whilst others only a few weeks. It really depends on the individual. Get yourself into a meditative state. If you’re having trouble take a look at our guide for overcoming problems when you first begin. Think of a situation or question you want the answer to. You may simply want guidance or to reveal how you truly feel about a person. Keep this in your mind. Let your thoughts begin to flow naturally. Try not to “think.” You don’t want to consciously inform what you’re going to write. Simply put pen to paper and begin writing. Again, don’t think about what you’re writing just let it flow through you naturally. Try not to take notice of what is written on the page as it can cause you to snap out of your subconscious state. Your writing may not make sense but just keep going – you can try and decipher it later. Your automatic writing may come out in sentences, snippets or may even be just random words. It’s then your job to interpret their meaning. Let us know how you get on with your automatic writing. Remember, it can take time to perfect the steps but once you’ve cracked it, it’s a great tool for self improvement.